This WiFi extender solution, consisting of the ALFA Network products AIP-W525H, Tube 2H (with OpenWRT firmware) and the 9dBi antenna AOA-2409TF, gives you an easy solution to go online with all your devices, even if the next one Hotspot is further away. We configure the devices specifically for this setup and also provide illustrated instructions. For various reasons, it is now normal to always be online - not only at home or on the road, but also while travelling. For these reasons most hotels, harbors and campsites offer WiFi for their guests. Often, however, there is no sufficient coverage over the entire area and it is difficult for a guest to build up a stable connection. Another reason for these connectivity issues is often due to weak WiFi adapters and small antennas in mobile devices, which often make it impossible to reach distant hotspots. The solution to connectivity issues with remote hotspots is a wireless extender set like this. This set consists of an outdoor module, the Tube 2H together with the outdoor omnidirectional antenna AOA-2409TF, and an indoor module, the AIP-W525H WiFi Router. 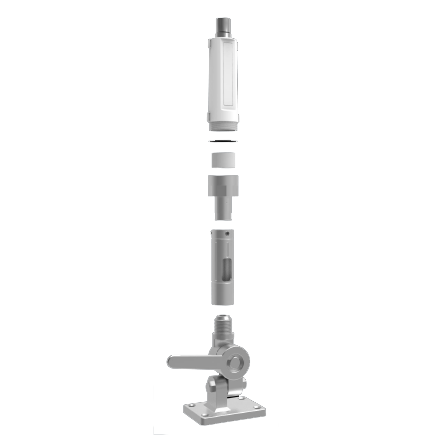 Since the antenna is screwed directly onto the Tube 2H, you have the enormous advantage that there is no attenuation or loss of signal due to long antenna cables. The Tube 2H acts as a client in this setup and receives the WiFi signal from the faraway hotspot. 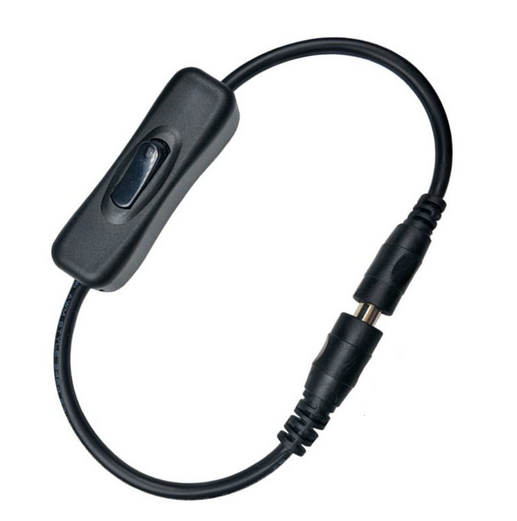 The ALFA Network Tube 2H has very good transmission and reception characteristics, especially in combination with the outdoor antenna AOA-2409TF. To ensure even better functionality of the Tube 2H, we install an OpenWrt/LEDE firmware instead of the ALFA firmware. The Tube 2H transmits the received WiFi signal via an Ethernet cable to the second WiFi device, the ALFA AIP-W525H WiFi Router. Now you can log in to the AIP-W525H's wireless network with all your devices and use the hotspot's internet connection. To ensure easy operation for you, we configure both devices especially for this setup. In addition, we have created an illustrated manual for you, making the handling even easier for you. Since both the AIP-W525H and the Tube 2H are controlled via a web interface, you do not need to install any additional software. All you have to do is wire the devices in accordance with our instructions, connect to the remote WiFi network as instructed, and you can go online with all your devices. For use on boats and for caravans, we have different mounting solutions for the Tube-Series on offer. If you want to be independent of the AC power, we offer various options for powering the equipment on board of ships and caravans. 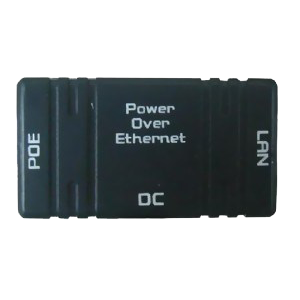 With Power over Ethernet (PoE) you can dispense a cable for the power supply of the device, because the Ethernet cable is used for power supply. Dieses Set ist mit Sachverstand und Liebe zum Detail zusammengestellt worden. Wo bekommt man noch vorkonfigurierte Systeme die man einfach nur nach deutscher (!) Anleitung zusammenstecken braucht und es funktioniert auf Anhieb? Ich will mir nicht ausmalen was alles mit den Millionen Untermenüs schiefgehen kann, hier brauche ich mir keine Sorgen zu machen. Zur Leistung der Antenne: Ohne habe ich am Wohnort 2 WLAN Netze erreicht, mit dem System sind es 13! Damit sind Empfangsprobleme auf dem Campingplatz Geschichte. Alle Daumen hoch, 100% Kaufempfehlung.